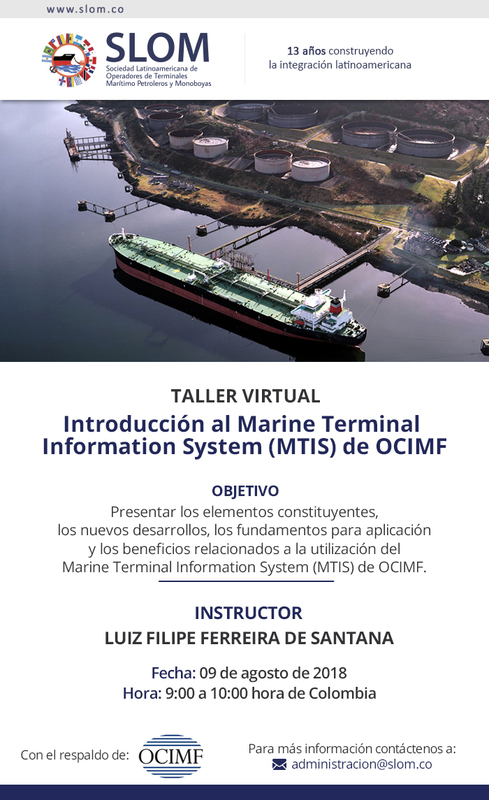 A webinar in Spanish introducing the Marine Terminal Information System (MTIS) to Spanish speakers will be held on 9 August. The webinar will introduce participants to the basic elements, recent changes, registration process and the benefits of joining the programme. It is hosted by the Sociedad Latinoamericana de Operadores de Terminales Maritimo Petroleros y Monoboyas (SLOM) and is presented by Luiz Filipe Ferreira de Santana (Petrobras). The webinar starts at 09.00 Colombia Time (COT). To join, fill in the form below and send to directoradministrativo@slom.co.